Another popular rower from Stamina is the 1215 Orbital Rowing Machine. 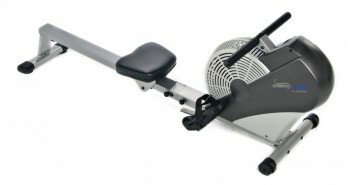 It is a well-made rower on the lower end of the price scale, but performs as well as some higher-priced models. 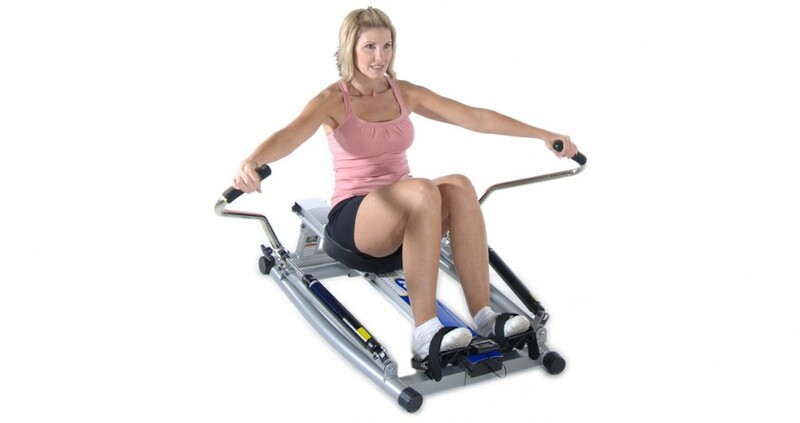 The free motion arms on this rower mimic the motion of rowing on the water with actual oars; its hydraulic piston design allows you to work out quietly. I decided to include the Stamina 1215 on my list, even though I’ve reviewed a few Stamina products. Let’s see how this one stacks up. 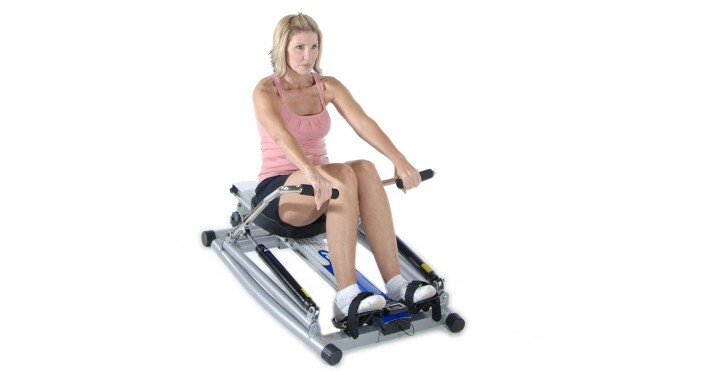 Rowers normally sit very low to the ground; this is especially true for the Stamina 1215. When it folds up, it’s only 10 inches high, which makes it easy to store under most beds or under a desk. 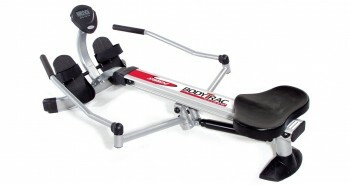 It has a compact size even when it is unfolded so you can use it to work out in spaces that are limited. This is perfect for people who live in small apartments. 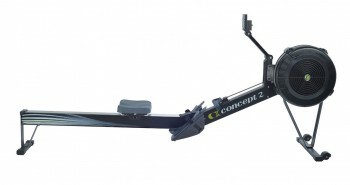 Most other rowers are at least twice the size of the 1215, but even with its small size and light weight, it can safely be used by people as heavy as 250 pounds. It basically has the same weight capacity as the average rower, at roughly half the size. A solid steel frame and an aluminum beam support the Stamina 1215 so even though it is sturdy, it is not very heavy. The machine weighs about 47 pounds, so lifting and moving it should be hassle-free. If you have been rowing for any length of time, you may know that some rowers tend to skid or move when you’re using them. This is especially true of some of the less expensive models, but not the Stamina 1215. 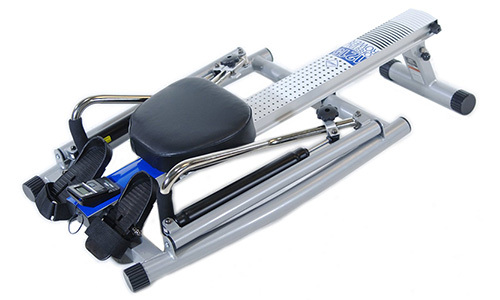 This machine is stable and should not move around or skid, even during your most intense workouts. 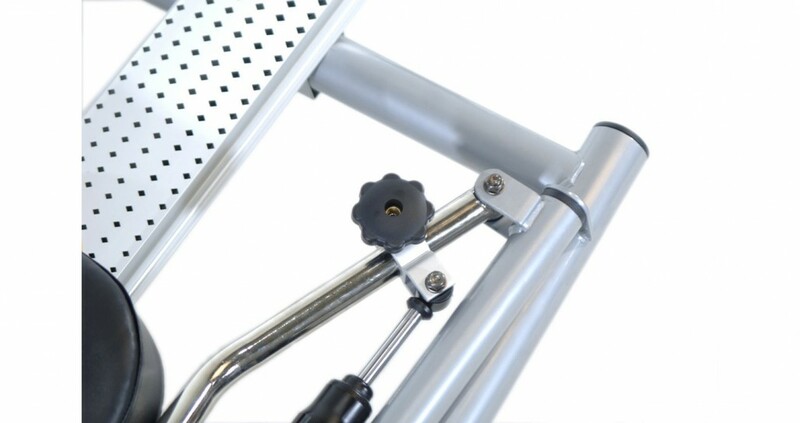 Its stability is partially due to its wide frame and low design. It also has floor protectors to help prevent skidding. 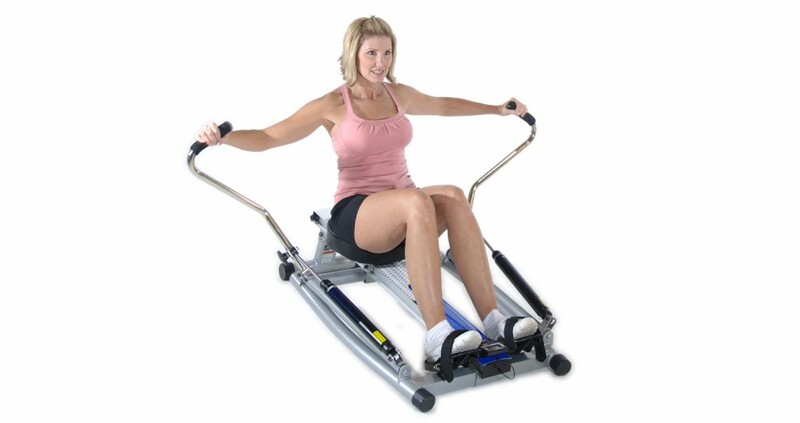 One of the benefits of using a hydraulic piston resistance rower like the Stamina 1215 is that it comes with two independent arms that move in an oarlike fashion. Each arm has an adjustable piston attached. 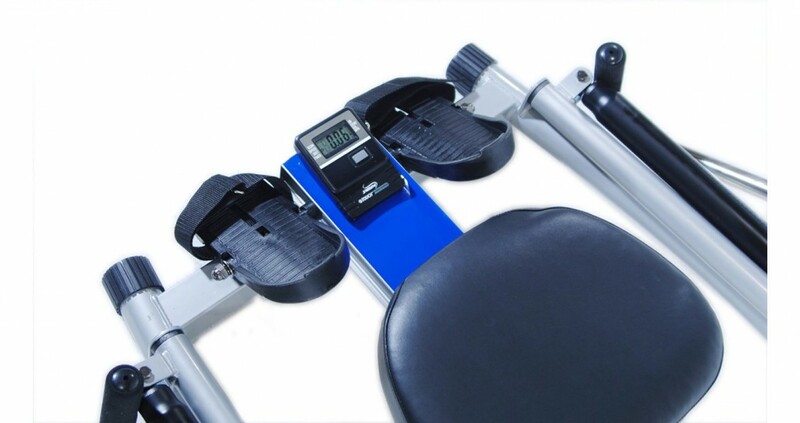 You will have the flexibility of different resistance levels on either arm, if you wish. The 1215 has five levels of resistance on each handle. Adjusting the resistance level is as simple as tightening the tension adjuster on the handle of the arm. With five resistance levels to choose from, people at different stages of physical fitness should be able to achieve a challenging workout. 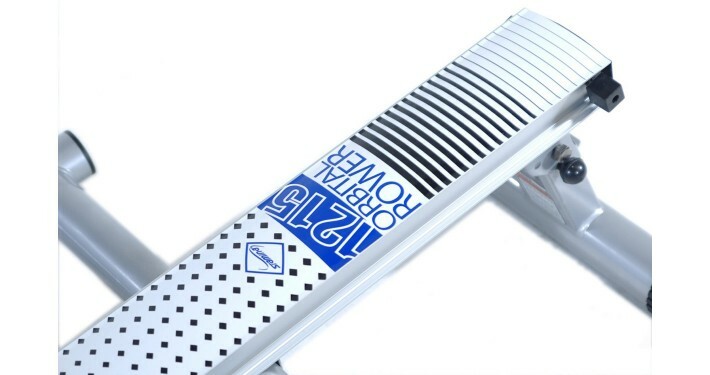 If your feet are large, you may have some trouble fitting your shoes on some rowers, but the footplates are comfortably oversized to accommodate virtually any shoe size. 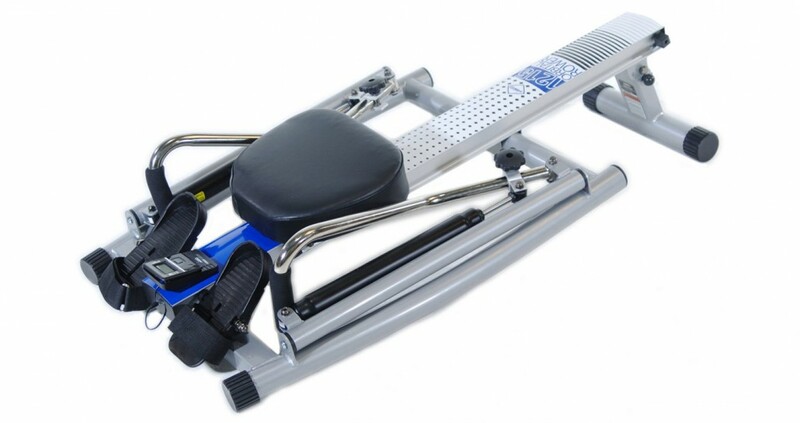 In fact, no matter what size shoe you wear, you should be able to secure your feet comfortably on this rower. 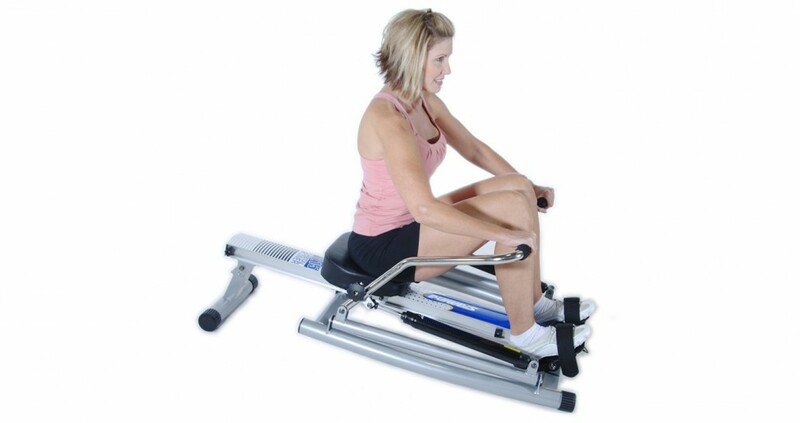 The footplates will pivot when you row to allow your feet to move naturally and this makes the rower more comfortable to use. Most users seem to like the thickly padded seats, but a few mentioned that the seat can become uncomfortable after long periods of rowing. A workout 45 minutes or longer could benefit from a folded towel placed on the seat for extra padding. The handles should be comfortable enough to hold, but they are foam padded and those types of handles tend to get sweaty with prolonged use. From the information that I gathered on the Stamina 1215 it seems that it will not comfortably accommodate people who are not of average height. 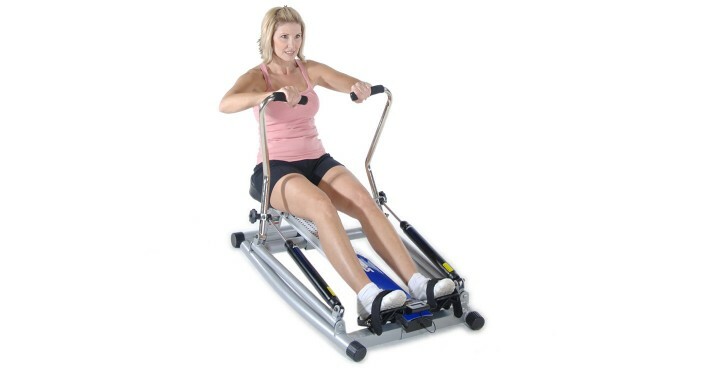 Some users who were over 6 feet, 2 inches tall say that they were not able to extend their legs fully on this rower, and therefore they were not able to get a very effective workout. People who are shorter than 5 feet, 3 inches tall may find that the handles are a bit high for them to reach. These height statistics are only estimates, and they will vary according to each individual’s body type and build, but I would say that if you are taller or shorter than these measurements, you should at least test it before buying. People who fall within this height range should be able to use the 1215 with no issues. 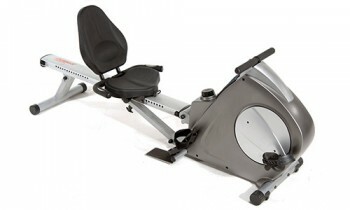 If you have a limited budget and a small workout space, I suggest you consider the Stamina 1215. I didn’t find many weak areas, and that is rare among rowers at this price point. 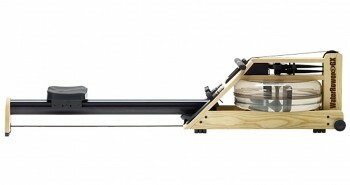 It is from a company that has years of experience in the industry and a reputation for producing quality rowers. Positive features are its compact size and ease of storage. It should be quiet while in use. This is a solid rower that is also functional and able to meet the fitness needs of the average person.